When Emily Pohl-Weary first became aware of zines, she thought, “I have to do this.” It’s been close to a decade since Pohl-Weary, now a writer and an editor, was introduced to the world of homemade magazines by her friend, the author and do-it-yourself maven Jim Munroe, while in her sophomore year studying translation at York University’s Glendon College, in Toronto. Today, her popular zine, Kiss Machine, enjoys a print run of one thousand, will soon make the jump from twice-yearly to quarterly, and was recently named one of “four indie magazines worth looking out for” by the Toronto Star. 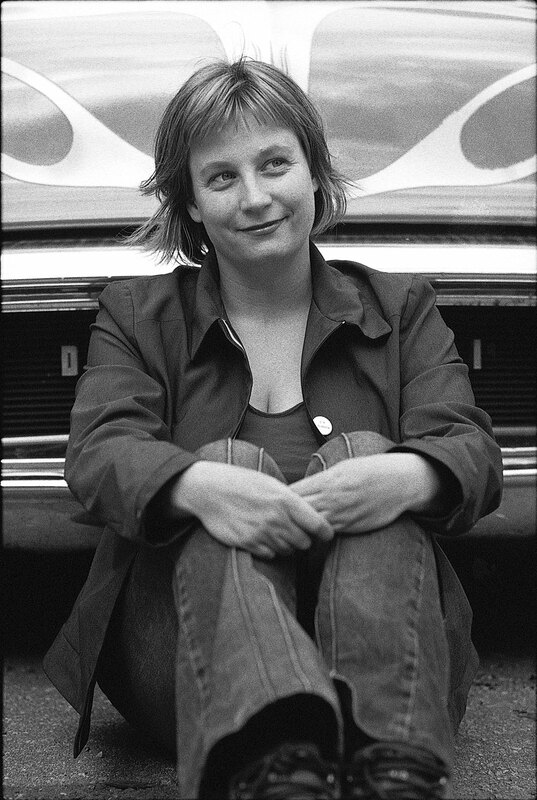 The theme of taking control of both medium and message remains a constant in Pohl-Weary’s work, be it in her former position as the managing editor of Broken Pencil magazine, her editorship of a new anthology of female empowerment fiction and essays, her work as a writer of fiction and poetry, or as the co-editor of Kiss Machine. Pohl-Weary and her friend, the artist and writer Paola Poletto, began publishing Kiss Machine in 2000. The not-quite digest-size zine, which had an initial print run of four hundred, evolved out of the friendship the duo struck up while attending a writing group. Among other things, it publishes an eclectic mix of fiction, poetry, photographs, art, essays, and advice. Writing isn’t Pohl-Weary’s only outlet for her cultural-consumption tendencies. Since 2001, she and Poletto have curated the Inflatable Museum, an on-line gallery of blow-up toys, paintings, and performance items. “The whole paradox of the Inflatable Museum is that it’s in cyberspace and it’s actually two-dimensional, whereas inflatable art is inherently not,” Pohl-Weary says. “So, we thought it would be funny to celebrate our inflatable culture and how anything can be inflated.” Pohl-Weary is also creating a choose-your-own-adventure-style video game, titled Paula’s Mystery Adventure, with Sally McKay, the co-founding editor of the now-defunct art magazine Lola. As Kiss Machine’s popularity continues to grow—along with its production values—Pohl-Weary says she has no desire to see it become a soulless industry. “Kiss Machine can only be about enjoyment for me, or I won’t want to keep doing it. When it starts to be an obligation, I’ll have to stop,” she says. “I keep coming up with ideas for things. They’re all time-intensive, so hopefully I can earn enough money so I don’t have to worry about not being able to do them.” As long as she keeps coming up with ideas, thinking, “I have to do this,” there is little reason to think she won’t. Alex Mlynek is a former contributing editor of Taddle Creek. She is a writer, editor, and researcher. Her work has appeared in This Magazine, Azure, and Broken Pencil. Last updated winter, 2012–2013.